A lot of people are utilizing Facebook to reconnect with old friends, seek long lost family members, spy on their spouses, or spend hours just being plain nosy. Although reconnecting with family and friends can be very entertaining at times, there are a lot of other things that people can do on Facebook which will allow them to become more productive and make money on the side. With that being said, I would like to introduce 5 Fun Ways to Make Money With Facebook For Free. Create an auction on Facebook. E3Buy is a 100% free online auction (similar to Ebay) that allows people to buy, sell, or trade things online. E3Buy allows individuals to create an online store and list various things to sell. Unlike Ebay, E3Buy is completely free to use and sellers are able to keep 100% of their commissions. E3Buy has a Facebook app available for sellers who would like to promote and sell their listings from their profile pages. Host an online garage sale on Facebook. There is no need to spend hours gathering up your unwanted items and placing them on your yard when you can spend less time just by doing it on the internet. Thanks to the Garage Sale App on Facebook, people can now post their unwanted items for sale directly on their Facebook profile pages. This fairly new app which is associated with Buy.com is a totally free and safe way to sell things to family, friends, and colleagues through Facebook. Join the MyLikes community. MyLikes is a really cool site which connects Facebook and Twitter users with advertisers. The great thing about MyLikes is that members of the MyLikes community are getting paid every time that their Facebook or Twitter friends click on the ads shared on their profile pages. Design shirts and accessories with Cafe Press. Cafe Press is a reputable store online which allows people to create custom t-shirts and mugs along with other accessories and list them for sale. Sellers are able to easily sell any product from tank tops, tote bags, iPhone cases, or pajamas on Facebook to make money on the side. Sell whatever you want by using Facebook Marketplace by Oodle. The Facebook Marketplace app allows others to sell items online through Facebook. If you have a car that you would like to get rid of, new merchandise that you would like to sell, or maybe even a room or home that you would like to rent, the Facebook Marketplace app would be an ideal opportunity for you to make money on the side with their classified app. Carla Easley is the webmaster of the Ehustle Online website. She began researching legitimate online jobs after being scammed by many companies on the internet and made it her mission to help others avoid scams and find legitimate jobs on the web. 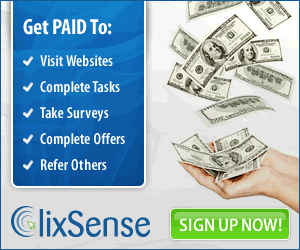 Get daily ideas and instructions for generating THOUSAND OF DOLLARS per day FROM HOME for FREE. Guess what? This is exactly what large companies are paying me for. They need to know what their average customer needs and wants. So big companies pay millions of dollars every month to the average person. In return, the average person, like me, answers some questions and gives them their opinion. Start following our trades NOW & profit up to 270% daily.